Even thinking about coming in contact with poison sumac can get those feelings of itching start to creep in. If you’ve ever come in contact with this plant, then you know the importance of being aware of its existence and effect on you and your body. 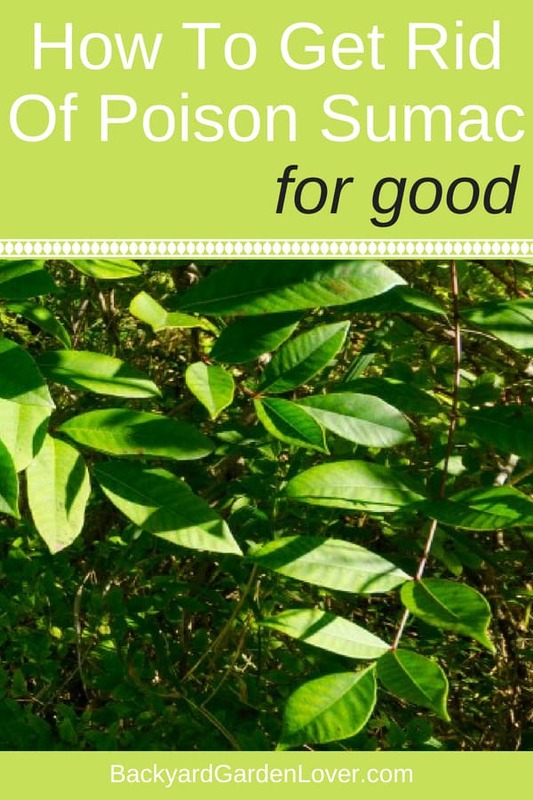 Learn how to get rid of poison sumac, so you can relax while out in your backyard. 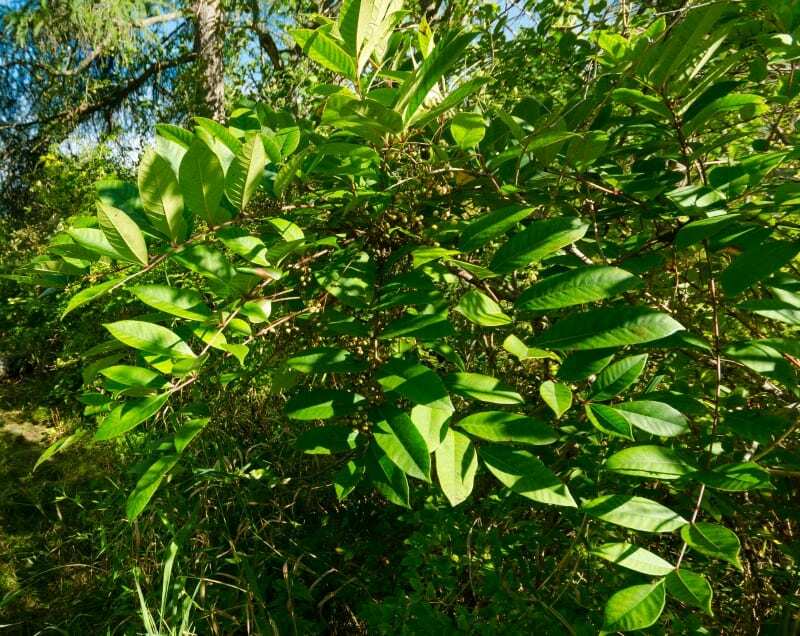 Exploring in the woods and the outdoors is a ton of fun, but if you happen to find yourself in contact with poison sumac, it’s important to know what you should do to get rid of it as well! Even more importantly is knowing how to get rid of the poison sumac plants that can be hanging around your yard and home. If you think you have poison sumac plants, it’s important to take the steps to get rid of them before they spread. Poison sumac can have a variety of forms. It can be a bush or a tree, and is usually not any taller than 6 feet or so in height. The stems and leaves are a bit glossy while the back or bottom side of the leaf has a greenish color to it. Another tell-tale sign is the red stems and the small groups of yellow-green, or light pink flowers. Poison sumac bushes tend to grow and thrive in very wet climates, so it’s important to know what you are looking for if you happen to be in those regions. In the fall, poison sumac plants turn beautiful colors. But it’s not worth keeping it around your property. Here’s how to identify poison sumac, and the differences between the staghorn and poison sumac. It is possible to rid your home or yard of poison sumac with several different methods. There are chemicals out there that can help to rid your yard of the plant, but you can also use a more natural method. Digging out the poison sumac plant is a possibility but you need to make certain that you are getting out the entire plant and root system when attempting. If not, it will grow again and you’ll never fully rid of it. If you’re going to attempt this method, make sure you;re properly dressed. You’ll need long pants, long sleeves, and gloves (if you use short sleeves, you can use a pair of long gardening gloves). After pulling out the poison sumac plants, discard them in a plastic bag. tie it up well, so you (or a family member) don’t accidentally open it up ad get infected. Never burn poison sumac plants, as the poisonous oil will spread through the smoke and affect your lungs. Another natural method to get rid of poison sumac plants is to cut plant down to the stem over and over again. You have to do it repeatedly as the plant will continue to grow, every week or two. If you keep up with it and cut it quite often, it will eventually end up dying off and won’t re-sprout or grow again. This method is more time consuming, taking up to 2 years, but there are less chances to get its leaves and oil all over yourself. Don’t mow or use a weed wacker: you’ll spread oily particles all over your yard and your clothes. Cut it with a pair of sharp garden clippers and make sure to wear gloves. 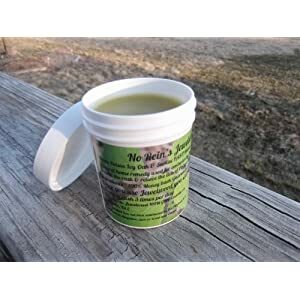 No Rein’s Jewelweed Salve 4 oz the Jewelweed Plant Is Commonly Used for Poison Ivy Oak and Sumac If you happen to come in contact yourself with the poison sumac plant, it’s important to know that there are things that you can do to help control the spreading and the itch. Just because your body doesn’t start showing signs of a rash immediately, don’t wait! Wash your body with cold soapy water to try to remove any of the oils off that may be lingering. Warm water can have a reverse effect and actually cause it to spread, becasue it opens up your skin pores. Cold water and soap is the key to naturally removing the oil from the poison sumac plant. Getting a good scrub to your nails and under them is important to make certain that there isn’t any of the poison sumac oils hiding underneath! As soon as possible, remove your clothes that you were wearing as well to give them a good cleaning, too. When it comes to the possibility of spreading poison sumac, you don’t want to take any chances. spray a 50/50 solution of vinegar on your rash. Alert: it will burn!!!! But after the initial burn, your itching will go away and your rash will dry out. apply 2 or 3 times a day. Poison sumac isn’t something that anyone should take lightly. Statistics do show that it’s less common than the other poison plants, but it’s one of the more toxic ones as well. The plant can be difficult to get rid of, but with the methods above it is possible. Remember that persistence is key to getting rid of the poison sumac plant and also the rash that appears as well. Do you have poison ivy on your property? Here are some suggestions for removing is safely. And if you struggle with poison oak, here are 3 ways to get rid of it naturally. Warm water does NOT open your pores! It doesn’t matter what the water temp is as long as you use plenty of soap to wash the plant oils off your skin. The only advantage to cold water is that the coolness eases some of the itching.